Jeff served in the Royal Air Force for 8 years, his overseas service included RAF Maralinga and RAAF Edinburgh Field in Australia. Jeff was present at RAF Maralinga during the minor trials. 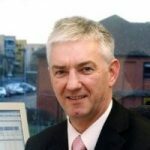 When Jeff left the RAF, he retrained as an electronics engineer and joined a programme learning company, the forerunner of computers, working in the commercial and further education field. At the age of 50, Jeff contracted TB, which meant a long period in hospital. In the late 80’s Jeff joined the British Nuclear Test Veterans Association (BNTVA) in the hope of finding anyone who he had served with. Whilst working at the BNTVA Jeff has held all the main officer positions, culminating to Chairman in 2016. Jeff has also been active with the NHS and the ambulance service, up until this year he has been serving as a public governor with South Western Ambulance Service NHS Foundation Trust (SWASFT). 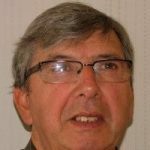 Jeff has served on a number of NHS research review panels and is Chairman of the local Patient Participation Group. At present, Jeff is the Chairman of the Nuclear Community Charity Fund. Jeff worked with Nigel Heaps during the process of bidding for the 25 million pounds from the Government. When the Aged Veterans Fund was announced Jeff was the lead in the negotiations with the grant lead at the AVF to secure the maximum funding available. He also secured the broader political scope for the wider nuclear community, which has enabled the fund to help all in the nuclear family, hence the name NCCF (Nuclear Community Charity Fund). Jeff has maintained a close working relationship with the grant lead and the staff of the grant department at the AFV. From 2010 until 2016 Nigel was the head of the BNTVA Charity for atomic veterans, leading the organisation through its evolution into a successful campaigning charity, fully engaged on the world stage, achieving a £25 million budgetary provision in 2015, Prime Ministerial recognition and United Nations Consultative Status for the organisation. 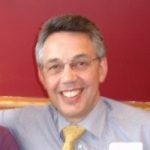 In early 2015 Nigel decided to share his hard-learned skills and abilities with other charities and organisations by founding BH Associates. Catherine is a career researcher in the field of ageing with a background in public health and social science, and a focus on the health and well-being of older people. Before coming to the UK in 2001, she worked in government in the United States including at the US Centers for Disease Control and Prevention (1991-2001) and the Veterans Administration Rehabilitation Research and Development Center on Aging (Atlanta, Georgia) where she conducted epidemiological and health services research. Subsequently at the University of Sheffield she held the post of Deputy Director of the Economic and Social Research Council’s ‘Growing Older Programme’ and the UK National Collaboration on Ageing Research. From 2005-2015 Catherine was Professor of Public Health and Ageing at Plymouth University, and is currently Visiting Professor in the Faculty of Health and Social Sciences at Bournemouth University. 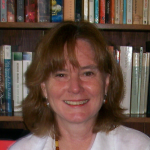 She has a strong interest in the development of interdisciplinary science and is co-author (with Alan Walker) of ‘Promoting multi-disciplinary and inter-disciplinary ageing research in the United Kingdom’ (2011). Relevant to the concerns of the Centre for Health Effects of Radiological and Chemical Agents, Catherine has a close relative living with the probable health effects of exposure to Agent Orange during the Vietnam conflict. Deborah is Professor in Radiochemistry/Environmental Chemistry and Research Director of the NFR Centre of Excellence for Environmental Radioactivity (CERAD) at the Norwegian University of Life Sciences. She has a Ph.D. in radiochemistry (Manchester Univ., UK, 1989) and has published about 130 papers in the international literature. 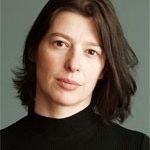 Since 1992, and in parallel with her scientific work, she has been engaged on research into ethics, initially funded by the Norwegian Research Council’s Ethics Programme. She is adjunct Professor at the University of Oslo, where she teaches philosophy of science and research ethics to PhD students in the Faculty of Mathematics and Natural Sciences. She was a member of the National Ethics Committee for Science and Technology (NENT) from 2006-2014, and deputy chair from 2010 and is currently a member of UNESCO’s World Commission on the Ethics of Scientific Knowledge and Technology (COMEST). Her scientific research has focused on radioecology and environmental pollution, including projects on nuclear risks and nanoparticles. In nano-ecotoxicology she has pioneered the use of radioisotope labelling for tracing nanoparticles. She has been lead contractor for NMBU in eleven EU projects in the 5th– 7th framework programme, two in the NanoProgramme (NanoRem and NANoREG), and nine within radiation protection. These include: STRATEGY, EURANOS, NERIS and PREPARE in emergency preparedness and risk management, and ERICA in radioecology. She led the 50+ stakeholder group in the EC ERICA project and has initiated a number of national and international stakeholder engagement activities within radiation protection. She has researched extensively on the social and ethical aspects of radiation risk, including the consequences of the Chernobyl and Fukushima accidents. She is a member of ICRP Committee 4, where she chaired the task group on Ethical Foundations of Radiation Protection, and a member of the IAEA Fukushima Task Group, where she co-ordinated the work on societal impacts of the accident. She is or has been main supervisor for eight Ph.D. students and joint supervisor for eight students. Nick Priest is Visiting Professor at Middlesex University and Adjunct Professor at the Medical University of South Carolina, USA. He was educated at the University of Wales (BSc in Zoology) and gained his PhD in Medicine from the University of London. Nick recently retired as the Manager of the Radiological Protection Research and Instrumentation Department at Chalk River Laboratory in Canada (2007 – 2016). 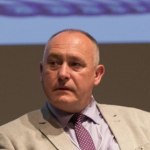 Nick started his career as a Research Scientist at the National Radiological Protection Board (1974-1986), developing through a variety of roles; Section Leader at the Inhalation Toxicology Unit, Harwell Laboratory, UKAEA (1986-1990), Head of Biomedical Research Department, UKAEA (1990 – 1994), Business Development Manager at Healthcare in AEA Technology (1994 – 1996) (£10 million business area) and Head of the Urban Pollution Research Centre Middlesex University (1996 – 2007). His research Interests include radiobiology and radioecology, toxicity of inhaled and ingested metals, radiological protection research, radiation protection and radiobiology consultancy. He is a Member of Institute of Biology – Chartered biologist and a Fellow of the Canadian Radiological Protection Society. He has been Honoured for his contributions by receiving the NATO Science Prize 2007 and the Distinguished Achievement Award 2015 (Canadian Radiation Protection Society). Richard worked for British Nuclear Fuels plc (BNFL) for almost 30 years before taking early retirement in 2006, and for much of this time he specialised in the risks to health posed by exposure to ionising radiation, particularly low-level exposure. 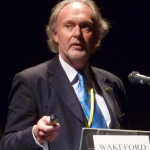 He is a member of a number of national and international expert groups such as the UK Committee on Medical Aspects of Radiation in the Environment (COMARE), Committee 1 of the International Commission on Radiological Protection (ICRP), and the United Nations Scientific Committee on the Effects of Atomic Radiation (UNSCEAR). Richard is also a member of the Technical Working Party of the UK Compensation Scheme for Radiation-linked Diseases, and in 2011, he was a member of the UK Government’s Scientific Advice Group for Emergencies (SAGE) for the Japan Nuclear Incident. Richard has been Editor-in-Chief of the Journal of Radiological Protection since 1997. Paul Thomas oversees the activities of 8 directorates and some 1200 staff involved in the varied administrative and welfare operations in support of research and teaching activity undertaken by some 600 academic staff and 15000 students; 4500 students live on the 200 acre Uxbridge campus. Paul joined Brunel University London in 2007 after a 32 year career in the Royal Air Force, retiring in the rank of Air Commodore. His military roles at One Star level included Director of Operations for the Armed Forces Personnel Administration Agency, Director of Corporate Communications (RAF) and a final tour as Assistant Chief of Staff A1 at Headquarters Air Command. He was the commanding officer of Royal Air Force Uxbridge for 2 years from 1997 during which time he made his initial acquaintance with Brunel. Raised within a family with strong military traditions, Paul’s uncle served in the Royal Navy and was a Christmas Island veteran. In 1998, Paul was awarded the MBE for services to UK Defence in North America, whilst serving on the British Defence Staff (Washington) and subsequently received the CBE in 2007 for his services to the Royal Air Force.